William Osborne Kyle (July 14, 1914 - February 23, 1966) was an American jazz pianist. Kyle was born in Philadelphia, Pennsylvania. He began gigging with local bands while in his teens. 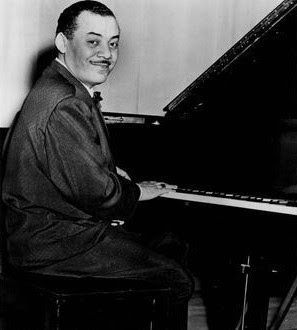 In the early 1930's, he free-lanced in New York, then was resident pianist at the Memphis Club in Philadelphia. 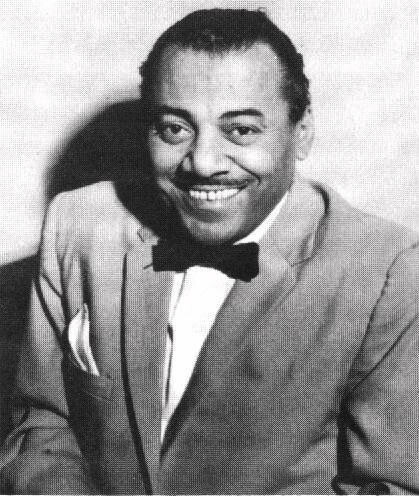 He first came to prominence as accompanist for vocalist Bon Bon Tunnell on radio station KYW. 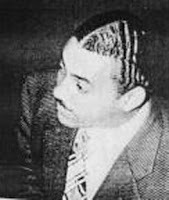 After a stint with the band of Lucky Millinder (1936-38), Kyle joined the John Kirby Sextet, which included among its personnel such illustrious jazz musicians as Russell Procope, Buster Bailey and Charlie Shavers. Kyle remained with 'The Biggest Little Band in the Land' until called up for military. Like so many of his generation, Kyle was drafted into the army in 1942. He joined the legendary 93rd Infantry Division of the army, but also got to keep his piano chops up, performing with the 368th Infantry Battalion Band. Upon discharge, Kyle rejoined Kirby for a short bit but also started making records under his own name, including four for the Hot Record Society label with future All Stars Trummy Young and Buster Bailey. On April 11, 1946, Kyle, backed by Kirby and guitarist Jimmy Shirley, recorded a showpiece version of the then in-vogue "All the Things You Are," a favourite of the up and coming boppers. 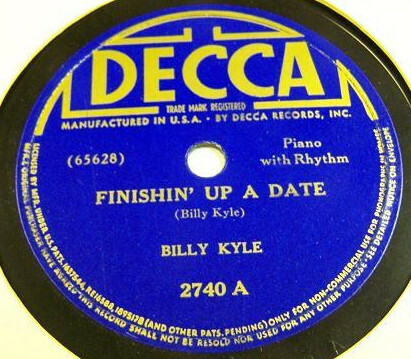 But instead of going the more modern route, Kyle instead finds some connections between Jerome Kern's tune and the classical music Kyle grew up playing in Philadelphia. Kyle also left Kirby in 1946, joining Sy Oliver's Orchestra for a few years. Kyle never was at a loss for work but after 1946 he never led another session under his own name, a true shame. However, his name was still big enough to be featured on the labels of some records made by some of the best singers of the day. including Ella Fitzgerald. 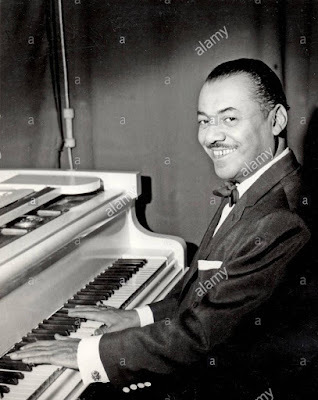 Kyle obviously impressed both Milt Gabler at Decca and his then-boss, Sy Oliver, as he became a regular pianist on many Decca dates of the late 1940s and 1950's including those featuring Louis Armstrong. Kyle wasn't going anywhere, just yet. In 1950, the smash hit Guys and Dolls opened on Broadway with none other than Billy Kyle on piano. 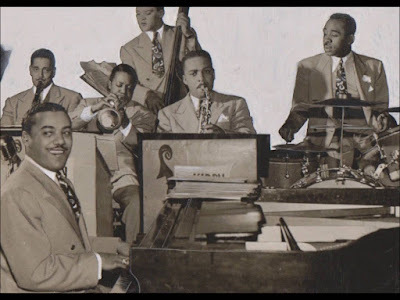 It was the very beginning of black musicians being allowed to play in Broadway pit bands, Kyle being joined for this show by trumpeter Joe Wilder and trombonist Benny Morton. Kyle was content, working six days a week in New York and picking up session work whenever available. In late 1953 Billy replaced Marty Napoleon in Louis Aemstrong’s All Stars's. Joe Glaser usually did the hiring and firing of Armstrong's musicians but one can imagine that Armstrong had a say in hiring Kyle. With Kyle, Louis finally had the ideal pianistfor the group. His features always impressed audiences and was much more of a team player being a rock solid accompanist. 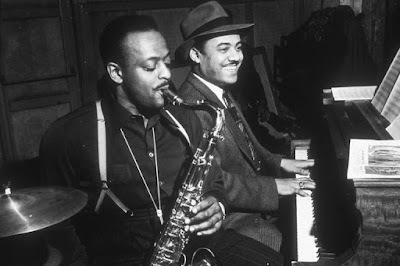 And with three years playing the exact same things night after night on Broadway, eight shows a week, he had no troubles playing many of the same songs--and solos--night after night with the All Stars. In fact, once Kyle hit upon a set solo or introduction, he never wavered, remaining more tied to his "set" excursions than even Armstrong. Kyle can be glimpsed in the musical High Society (1956). Kyle was truly the ideal pianist for the All Stars but his only problem was he was quite the drinker and loved to party. It never seemingly affected his playing but it did affect his health. He broke down multiple times during his 13 years with the All Stars, his health problems always due to his drinking. In the early 1960s. He supplanted the drinking with eating and gradually began to gain weight as the decade progressed. By the winter of early 1966, he was at his heaviest, with the band still grinding out one-nighters, often in a bus with heat that didn't often work. At his last performance in Ohio band members had to help him up the stairs to the stage. He was out of breath and couldn't hardly make it, but he played everything he knew. It was just magnificent playing. The band knew something was wrong when Kyle didn't come out of his room the following morning. He had been suffering from liver failure. He was kept alive for a week, but died on February 23, 1966. Youngstown, Ohio. He was 52 years old. 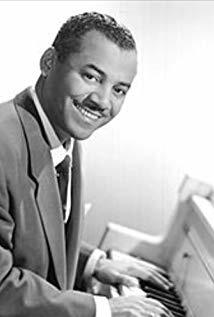 "Now You Has Jazz" written by Cole Porter for the 1956 film High Society. In the clip are Edmond Hall, Louis Armstrong, Trummy Young, Billy Kyle, Arvell Shaw and Barrett Deems from The All Stars. Bing Crosby on vocals.